Thank you Jerry for the favorite, Ive looked at your wonderful artwork and done the same to one of yours. Excellent work Peter. congrats on the sale. 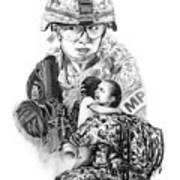 A wonderful drawing, a touching story. The detail and symbolism are incredible. Congratulations! Congrats on the sale Peter....you deserve it !! Angelina, outstanding work on your collages. Looking foward to seeing more of your work. Congratulations on your sale of this image. Ive had the same emailed photograph of this mother hugging her child at the airport...very touching image! Hi Tinsu, thank you for your comment. There are some pieces I do with intent to send a message. A few people might not agree with the look on the woman�s face, but I wanted to show that she has been traumatized and that war is not appealing thing. I also have a second version on my other site, which is digitally modified to where she has more of a smile. Veterans Day was the inspiration for this piece. 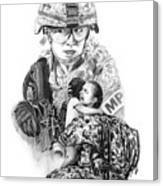 I wanted to do a piece that showed that the women are also one of our Veterans. The female soldiers eyes and head are shifted to indicate that she is highly aware of her surroundings (possibly hearing a noise behind her) standing with her riffle ready for action if necessary. 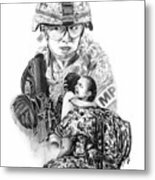 It is also my intention to portray a young spirited female soldier above, juxtaposing the lower worn out, aged soldier who just came home after a grueling "Tour of Duty". This piece took over 20 hrs, using a range of pencils H6 - 3B and Nero #2 charcoal pencil on Canson Smooth 100 lbs paper. Click just above the glove to see how detailed it gets. 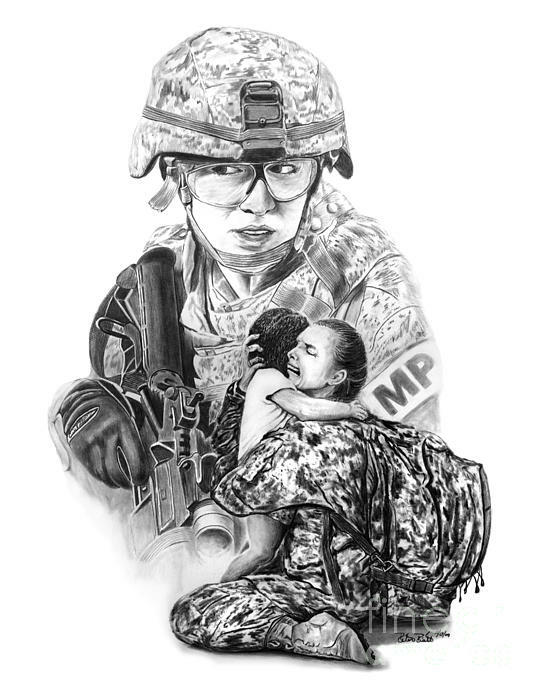 All proceeds of sales of this image will be donated to US Wounded Warriors Foundation or you can donate directly to http://www.woundedwarriorproject.org/ Support our soldiers when and however you can.